Residents of Gainesville, New Holland and Woodlake are welcomed to Injury Relief Chiropractic for pain-free living. Our chiropractor, Dr. Flemons provides a variety of services and techniques to meet your individual needs. Dr. Flemons evaluates your injuries and health concerns, then designs a personalized program to put you on the path toward wellness. If you are seeking chiropractic care for pain relief, for management of a chronic condition or to help recover from an accident, Injury Relief Chiropractic will take care of you and your family. Chiropractic Adjustments- Dr. Flemons believes in the body's ability to heal itself. This occurs when the body is in a natural alignment. Chiropractic adjustments position your spine and joints to be pain free and mobile. These adjustments are gentle and often bring an immediate reduction in your symptoms. With continued chiropractic care, long-lasting relief is achieved. Massage Therapy- massages help alleviate pain from muscle tension and also stimulate healing at the injury site. Massage therapy lessens inflammation, reduces your stress and restores your range of motion. Diversified Technique- this series of adjustments positions your neck and back to lessen your pain. It is helpful for alleviating pain from scoliosis, injuries, slipped discs and sciatica. Activator- this tool allows Dr. Flemons to perform precision adjustments. This services brings relief for conditions such as neck pain, headaches, carpal tunnel syndrome and low back pain. Thompson Drop Table- the drop table absorbs some of the force from the adjustments and places your body in the perfect position. This service helps your adjustments take hold and bring you relief. Cold Laser Therapy- the laser penetrates into deeper muscular layers to lessen swelling and encourage healing. Ultrasound- if you are struggling with pain from muscular concerns, ultrasounds help break up scar tissue and eliminate muscle tension. Electrical Muscle Stimulation- used to restore muscular function and control, EMS reduces pain and enhances your mobility. Corrective Exercises- Dr. Flemons teaches you exercises to support a healthy posture and keep your flexible. Lifestyle Support- our services also include lifestyle guidance to enhance your comfort while at home and at work. We show you how to arrange workstations to lessen neck and back pain, headaches and fatigue. The services provided at Injury Relief Chiropractic protect and care for you and your family. We bring a natural approach that does not have side effects. 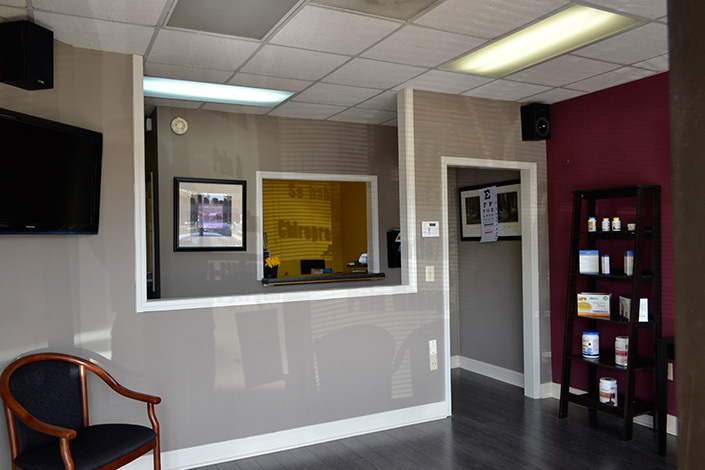 To schedule your first appointment, evaluation or for answers to your questions, please contact us at (770)-535-0850^.